For the topper I die cut a square from the Scene Scape 04 and stamped the Lavinia Shaylee fairy on to the topper using Versafine Black Onyx, I then stamped and embossed the wing using Wow clear sparkle. 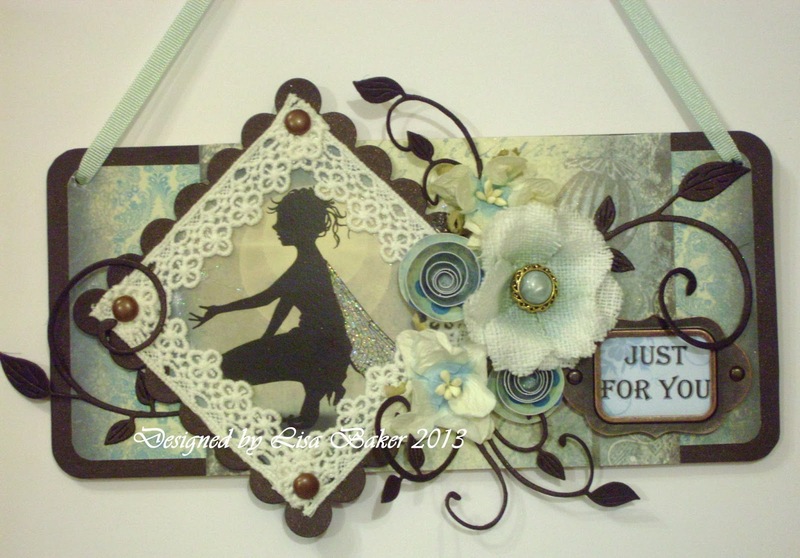 Then I attached it to a black scallop die cut square and then added some vintage lace around the edge. Once I had attached the topper to the background I embellished the whole piece with various die cut swirls and flowers. 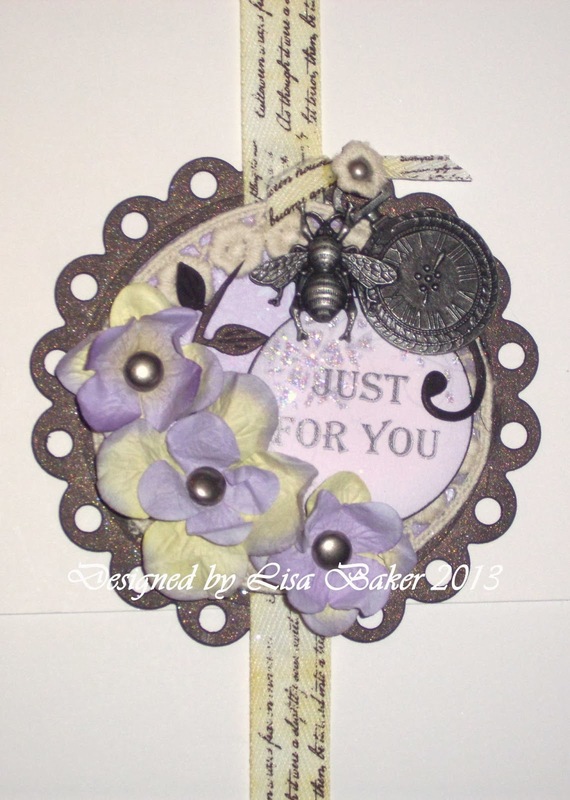 I cut a Just for You wording down from the Lavinia topper 4 to fit behind a Crafts Too Vintage Selection Label Plate and then attached it. 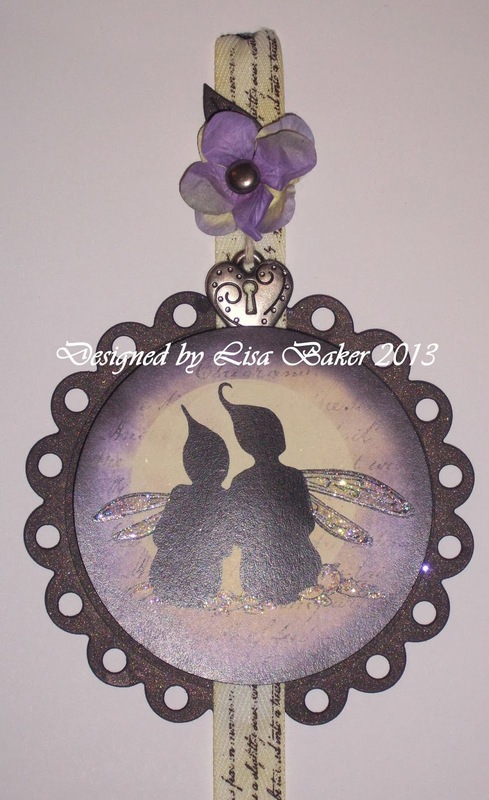 For the second wall hanging I used the Lavinia Fairy toppers 5. I then attached them to some Crafts Too Vintage Selection white script ribbon using Cosmic Shimmer glue and made a loop at the top. I then embellished with flowers and ribbon and metal embellishments, I also added some chain and a key to the bottom. Really liking this range. Im a big fan of poppies to. Cant choose between these two wall hangings. 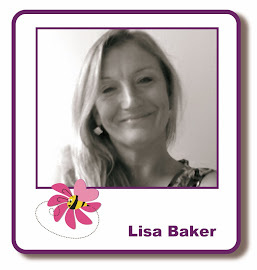 WOW Lisa these are stunning. 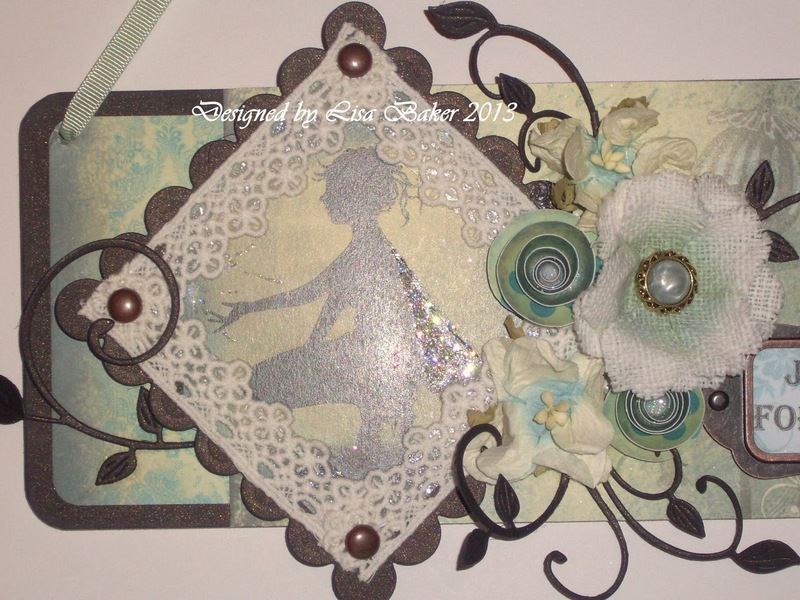 Love the designs and the gorgeous embellishments. Both hangings are fantastic. 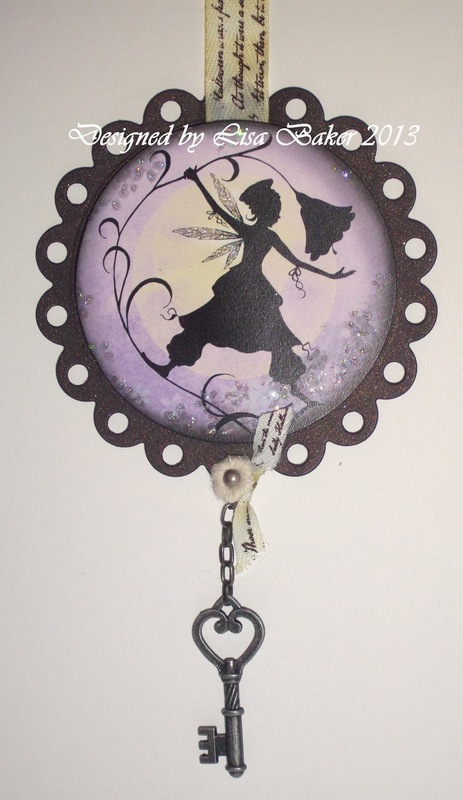 I love the clear embossed wings and the charms you've used are beautiful. Wow, two gorgeous projects. Love the images on them and all the detail. 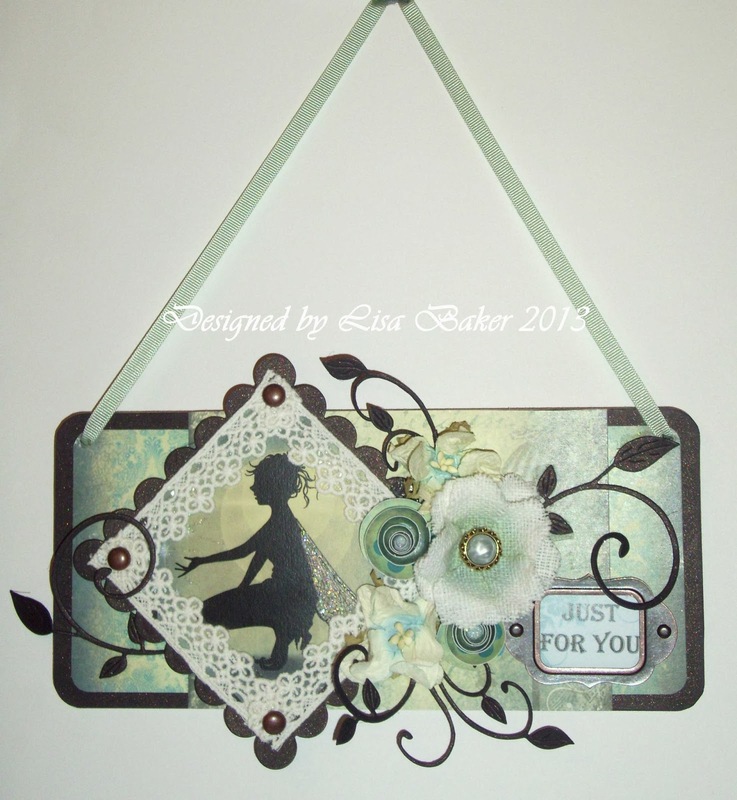 These are such a lovely way of displaying your gorgeous creations, must have a go at making some.